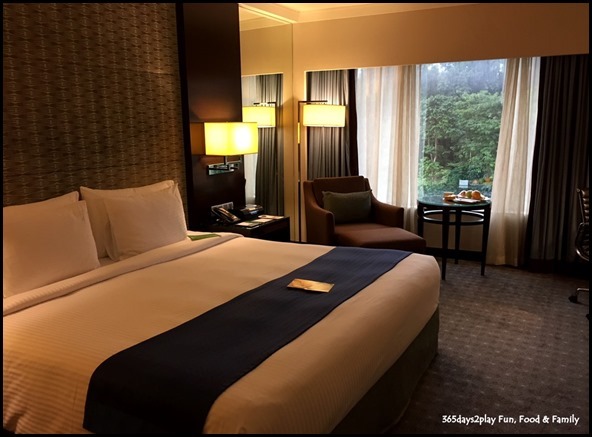 We were recently invited to check out Holiday Inn Singapore Orchard City Centre as they have a new promotion called Jump Start Your Weekend. I was keen to book a date soon after our return from our New Zealand travels, because you know, you always need another holiday to recover from the 1st holiday! And it’s also nice to be able to look forward to a little something when you feel depressed that your big holiday is over. And as for Edward, he loves hotels and is always keen to check out yet another! Staycation here we come! 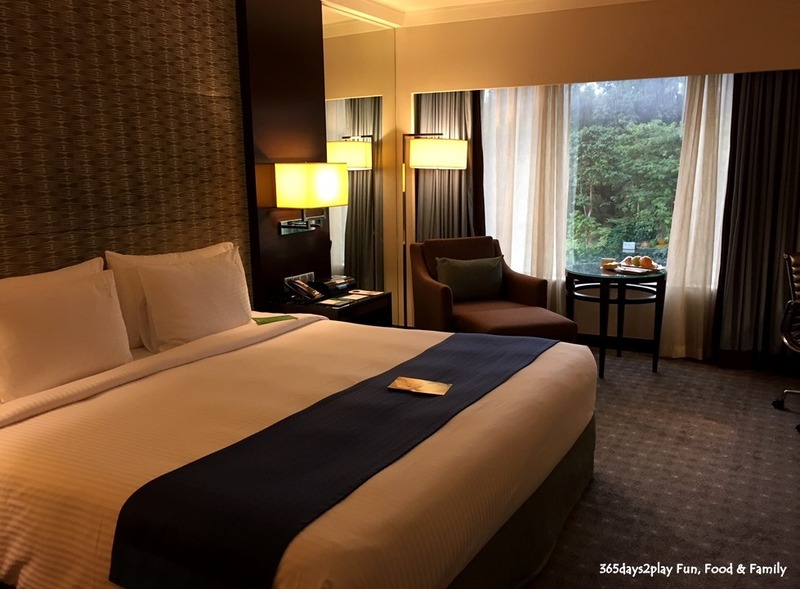 As far as I can see, there are only 2 room types at Holiday Inn Singapore Orchard City Centre and we were provided the Premier King room. We had asked for a room on a high floor and with a good view, something that we always ask for when we check into hotels. In this case, we managed to snag a 7th floor room (the hotel is 8 storeys high) and facing the expressway. Yes this is actually the better view because right across the expressway is the Istana grounds, so its basically greenery directly after the expressway. And I must say the windows were thick enough such that we couldn’t hear the expressway traffic anyway, so that was fine.